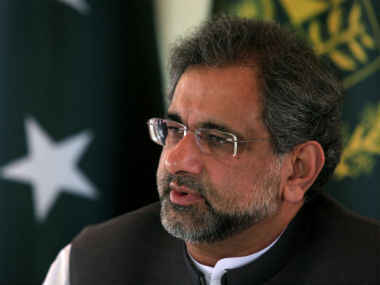 ISLAMABAD: The National Accountability Bureau (NAB) on Wednesday approved the initiation of two investigations against former premier Shahid Khaqan Abbasi for his alleged misuse of their power which caused a loss of billions of rupees to the national exchequer. An Executive Board Meeting (EBM) of the bureau was chaired by NAB Chairman Justice (r) Javed Iqbal in which a green signal was given to probe the former PM, along with ex-petroleum and natural resources minister Arshad Mirza, former petroleum secretary Sheikh Imran-ul-Haq, former managing director of Pakistan State Oil (PSO) Yaqoob Sattar, and others. A press release issued by the accountability watchdog said that Abbasi will be probed regarding his tenure as an ex-petroleum minister. In June this year, the NAB approved the initiation of an inquiry against Abbasi, former prime ministers Nawaz Sharif and over alleged misuse of power regarding a liquefied natural gas (LNG) terminal project, the agency said. The bureau had given a go-ahead to the probe against Nawaz, Abbasi and others “for granting a 15-year contract of LNG terminal to a company of their liking in violation of rules and by misuse of their powers, which caused national exchequer a loss of billions of rupees”. Moreover, the Wednesday’s EBM also accorded approval to conduct 20 inquiries against various personalities including former National Assembly member Mian Imtiaz, former Sindh home minister Sohail Anwar Siyal, former Sindh local government minister Jam Khan Shoro, Sindh lawmaker Abdul Jabbar Khan, Mehran Cooperative Housing Society Chairman Amanullah Siyal, Ali Usman of Stock Brokerage, former attorney general Justice (r) Malik Muhammad Qayyum, and former information technology ministry secretary Farooq Ahmad Awan. The contractor, officers/officials and former secretaries of Sindh’s Irrigation Department and Local government Department, Khyber Pakhtunkhwa’s Workers Welfare Board and others were also named in the inquiries. The EBM accorded approval referring the appointment issues of officers/officials of PIA to FIA and the appointment of Girls Cadet College Mardan principal to Khyber Pakhtunkhwa chief secretary. The EBM accorded an approval to conduct complaint verification against Mansha Group and rejected voluntary plea bargain application of Ali Usman of Stock Brokerage, Khalida Anwar, M Usman Tasadduq and others. NAB Chairman Justice (r) Javed Iqbal said the bureau believes in “corruption-free Pakistan [by] strictly pursuing the policy of Accountability for All”. “NAB believes eradication of corruption as its national responsibility. All resources are being utilised to take mega corruption cases to logical conclusion. NAB’s priority is to eliminate corruption, arresting proclaimed offenders and making them answerable,” he added. He said effective measures are being taken to ensure the recovery of the amount looted by various housing societies. He directed his staff to conduct complaint verification against corrupt elements within the prescribed time frame in accordance with the law. The NAB has clarified that the tradition of sharing details of the EBM meeting with people is not aimed at hurting anyone. “The inquiries, investigations, initiated on alleged accusations are not final, NAB decides taking action against the accused only after checking/sifting the facts,” he concluded.